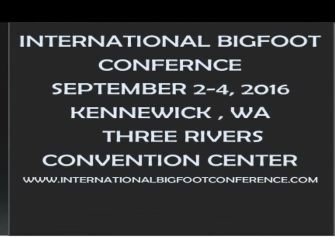 The 2016 International Bigfoot Conference is going to be a great event this year. The conference is set to take place September 2-4 in Kennewick, Washington. The line-up looks really good; so if you're in the area you should definitely check this out. I'm really looking forward to going to the conference. Should be a great time.